There’s a revolution underway in South America, but most of the world doesn’t know it. 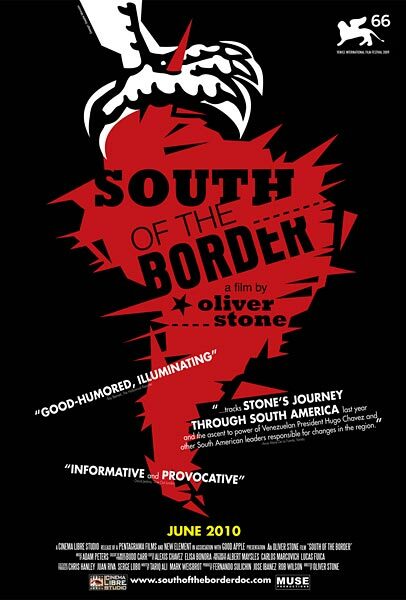 Oliver Stone sets out on a road trip across five countries to explore the social and political movements as well as the mainstream media’s misperception of South America while interviewing seven of its elected presidents. In casual conversations with Presidents Hugo Chávez (Venezuela), Evo Morales (Bolivia), Lula da Silva (Brazil), Cristina Kirchner (Argentina), as well as her husband and ex-President Nėstor Kirchner, Fernando Lugo (Paraguay), Rafael Correa (Ecuador), and Raúl Castro (Cuba), Stone gains unprecedented access and sheds new light upon the exciting transformations in the region. Official Site. You can view the HD trailer in Quicktime Here. 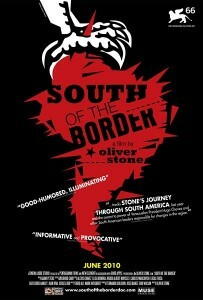 Posted in BoliviaTagged evo morales, oliver stone, south of the borderBookmark the permalink. -bar none! —ACROSS the Pacific. and important —KOREAN WAR -this year!